I think I found a new favourite series to help fill the Rebus shaped hole in my reading life. 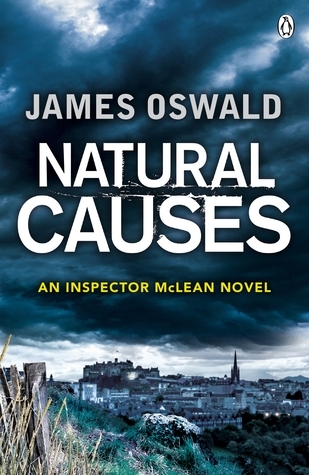 Natural Causes by James Oswald is one heck of a debut. A young girl's mutilated body is discovered in a sealed room. Her remains are carefully arranged, in what seems to have been a cruel and macabre ritual, which appears to have taken place over 60 years ago. For newly appointed Edinburgh Detective Inspector Tony McLean this baffling cold case ought to be a low priority - but he is haunted by the young victim and her grisly death. Meanwhile, the city is horrified by a series of bloody killings. Deaths for which there appears to be neither rhyme nor reason, and which leave Edinburgh's police at a loss. 5 Words: Crime, mystery, brutality, power, dark. You can't talk about this book in any way without first mentioning the opening chapter. My toes curled, my hands were in fists, and my throat hurt. I had to suppress the urge to throw up. The first chapter of this book is powerful - the imagery is horrifying and stops just short of being too much. It is terrifying that it could even be conceivable, grotesque that it could possibly happen. But it works. This chapter serves its purpose and serves it well. If you ever forget it then you're lucky - and you will not forget it before you finish the book. All I wanted to know for much of this book was who that poor young woman was, the girl who suffered such a fate and who did it. That you are reminded of this first, terrible act throughout the book only makes the reader more keen to finish this riveting read and solve the mystery with McLean. The tone is not all horrifying gore. The characters bring a well needed injection of humour and mystery and a sense of realness. The reader is slowly fed information about McLean, his past does not overshadow the story at all. 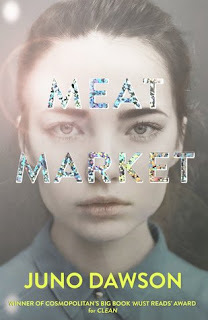 This is a well rounded crime novel, with just enough of everything to make it perfect. James Oswald surely knew that to write about a Detective Inspector in Edinburgh would invite comparisons to Ian Rankin's Rebus and seemingly makes a nod to this near the very end, with a Police Constable reading one of Rankin's books. I wasn't sure about the slight fantasy element, but it worked well with the story and resolved itself by the end. I've never read such a real crime story so well-woven with a hint of fantasy, and I thoroughly enjoyed it. I am eager to read the next book. Very eager. What's your favourite crime series?